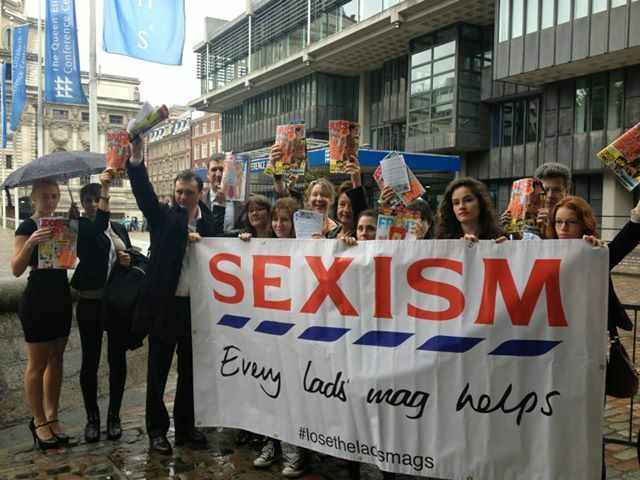 Join hundreds of people from across the UK for a unique weekend of hands-on training in taking action for gender equality. 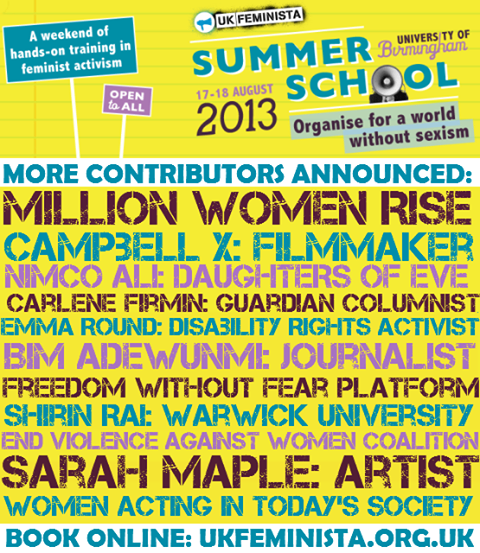 Summer School 2013 is open to all, and is perfect for seasoned campaigners and new feminists alike. 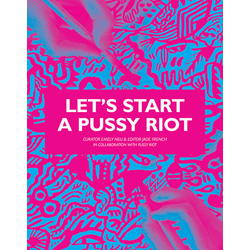 Whether you’re seeking inspiration, skills or solidarity, this event is for you! Secondly, the government made it illegal for the adoption of Russian children by gay couples or any single person who comes from a country that recognizes marriage equality. Thirdly, a bill has just been passed giving authorities the rights to arrest foreign nationals whom they suspect being LGBT or pro gay and detain them for up to 14 days. There is talk in the media of the next step being the removal of children from Russian homes, natural or adoptive, from parents who are, or are suspected of being LGBT. We are witnessing imagery in the media showing unspeakable violence towards LGBT people. We see evidence that the new laws are being broadly interpreted by the Russian public and by the legal system to unfairly and violently persecute, intimidate and vilify LGBT people. This violence must stop, and the laws must be repealed. We are organizing a peaceful static protest for our Russian LGBT family, with whom we show solidarity. We want our Russian brothers and sisters to be free from persecution and to have the freedom to love without fear. 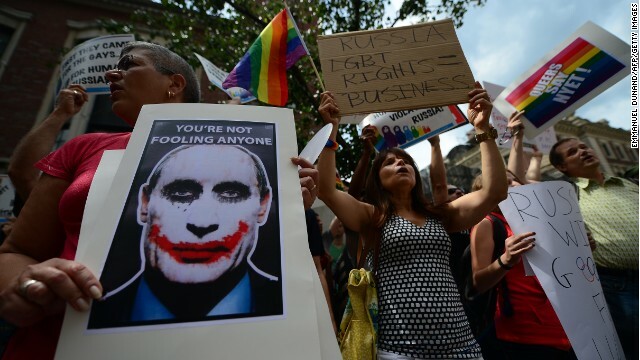 We call on David Cameron, the UK Parliament and the G20 to urge the Russian government to repeal these laws and to provide the same level of human rights protection to all of its citizens regardless of their sexuality and gender. The Underbelly, Hoxton is beaming to present! 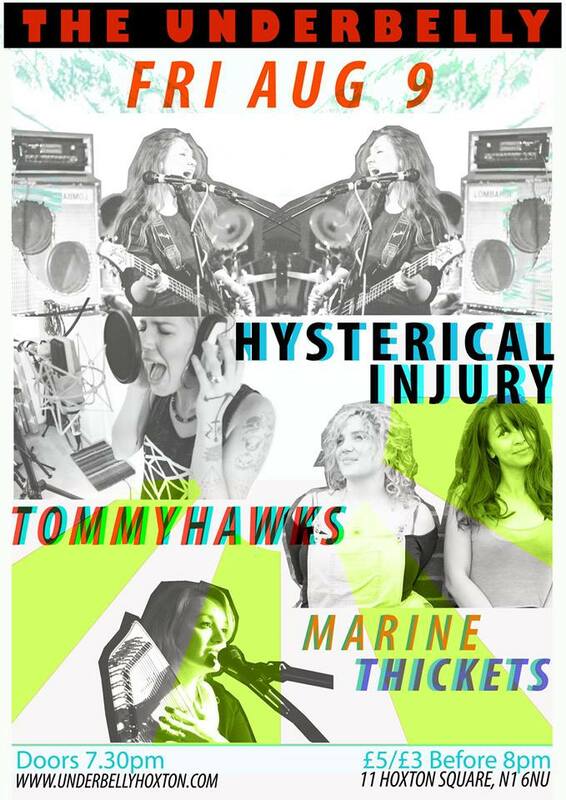 An all girl fronted, noisy, fuzzy, grungey, reverb swamped event of epic proportions! 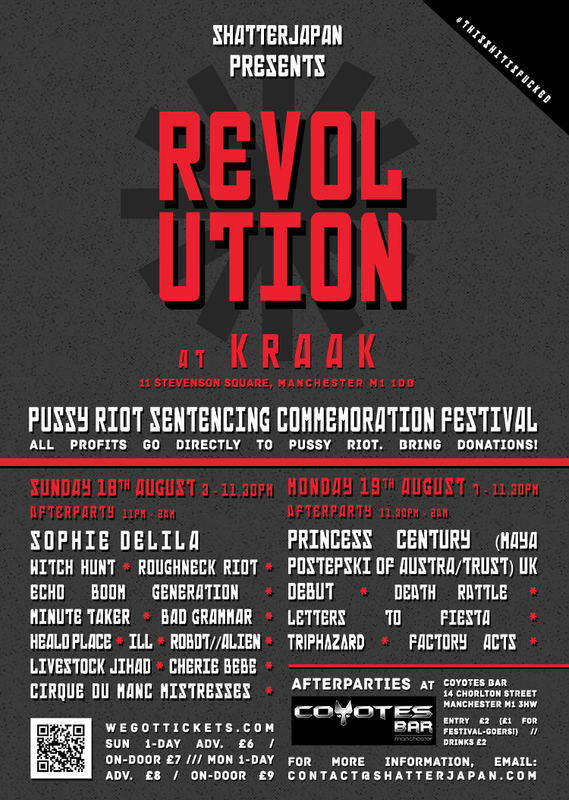 You really should come, it’ll be loads of fun!